HAS Papua New Guinea gone to the dogs? 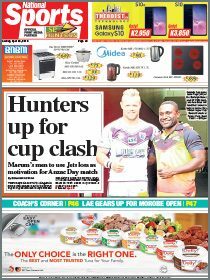 The Opposition firmly believes so and has been making moves to topple the three-year-old government of Prime Minister Peter O’Neill. And yesterday, Opposition Leader Don Polye made the announcement that all opponents and critics of the ruling coalition had been waiting for – to move a motion of no confidence in Prime Minister O’Neill. The former treasurer, flanked by his predecessor Belden Namah and several MPs, said their aim was to “save the country” from the economic ruin caused by the Government. He confidently predicted that the Opposition had the numbers to oust O’Neill. It is no secret that the Opposition has been planning to introduce the motion of no confidence in the Prime Minister since the Supreme Court’s ruling in early September that nullified Parliament’s decision to extend the grace period from 18 months to 30 months. The five-member bench, including Chief Justice Sir Salamo Injia and Deputy Chief Justice Sir Gibbs Salika, had unanimously declared that the constitutional amendments passed by Parliament in 2012 were “unconstitutional and invalid”. Whilst the Opposition and the prophets of doom will always be skeptical about the O’Neill Government’s performance and achievements, there is little or no doubt that since the current coalition came into power after the 2012 elections, it has gone in leaps and bounds with innovative initiatives and policies such as free education and free healthcare. The Government’s list of achievements during its relatively short term in office is astounding, to say the least. And as the Prime Minister rightly said, Papua New Guinea’s impressive economic growth and progressive developments could not have been achieved without political stability. The Government meant well in its pursuit for strong economic growth when it convinced Parliament to extend the grace period to 30 months to give itself the buffer to govern without distractions. Whilst its critics and distractors have argued otherwise, the Government has been able to move the country farther ahead than anyone could have imagined in 2012. So why is the Opposition hell-bent on ousting O’Neill and changing the government? Do Polye and company really believe that they can rescue the country from the “economic mess” caused by the O’Neill Government? And will the alternate government proposed by the Opposition perform above and beyond O’Neill’s achievements? These are critical questions that all right-thinking Papua New Guineans must ask about the Opposition’s intended motion of no confidence in Prime Minister O’Neill. Whilst we agree the Opposition’s threat can be destablising among the government ranks, we believe the proposed motion of no confidence is premature. 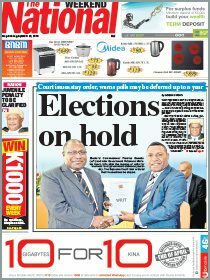 Despite Polye’s claim that they have the numbers to topple the Government, we understand that O’Neill will be able to comfortably defeat their motion. Key members of the ruling coalition have reaffirmed their support for the Prime Minister amid unsubstantiated reports of a potential split within the Government. Nonetheless, the numbers game is on again after a long spell and political horse-trading will be rife around the time the 2015 Emirates Melbourne Cup is run.